While traditional wedding lighting will always have its place, there are a host of exciting new options available and that will give your event a distinct edge. Take for instance, static lasers, which Southern Light Events is excited to already have in stock! This lighting is proving very popular at the moment. Static lasers are suitable for outdoor use (waterproof) and give the effect of thousands of fairy lights sprinkled over trees, buildings, ceilings, or even the ground. They’re a favourite with the kids too ~ running in front of them makes them appear in coloured spots! There is a large range of static lasers too, and they really do look quite special. I haven’t seen them available for hire anywhere else, and at just $40 each they are a simple but clever way to create an amazing effect. Also new to Southern Light Events’ hire stock, are warm LED fairy light ‘nets’, which make draping fairy lights a whole lot easier! 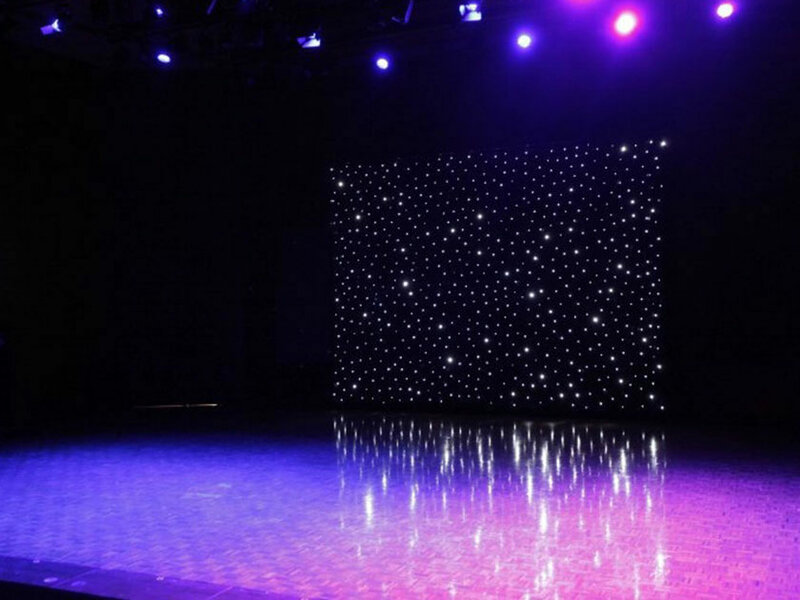 With 8 different modes these fabulous lighting nets can create 8 different effects, including static, waves, fade, twinkle or strobe! They also look amazing behind our white satin drapes, perfect for a bridal table backdrop, or creating a romantic canopy. They’re 4m x 6m and we currently have 8 available for hire. At Southern Light Events we’ve resisted using festoons for a long time now, simply because the black cabling looks quite simply, ugly, during daylight, so we’ve gone ahead and designed and ordered our own white cable with warm white LED lamps, which look like incandescent globes, but only draw a fraction of the power! We’re excited to be using these new, more discrete and prettier festoons to create canopy’s and festoon draped backdrops ~ pics coming soon! If you’d like to view any of these fabulous lights please get in touch.